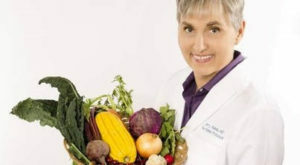 Dr. Terry Wahls will deliver the keynote address at the NCURA spring meeting. Photo courtesy of NCURA. The National Council of University Research Administrators (NCURA) is a professional organization dedicated to furthering the field of research administration. Iowa State University participates in NCURA through involvement in the Midwest Region (Region IV) and attending their annual international meetings. For the first time ever, the NCURA Region IV 2018 Spring Meeting will be held in Des Moines, Iowa, from April 15-18. The Office of Intellectual Property and Technology Transfer (OIPTT), along with many other Iowa State offices, will be participating in this meeting, both as attendees and as presenters. OIPTT will be co-presenting sessions on industry contracting models, training and outreach, technology commercialization, and federal contracting. This provides OIPTT an opportunity to educate its peers around the Midwest, while learning from them as well.